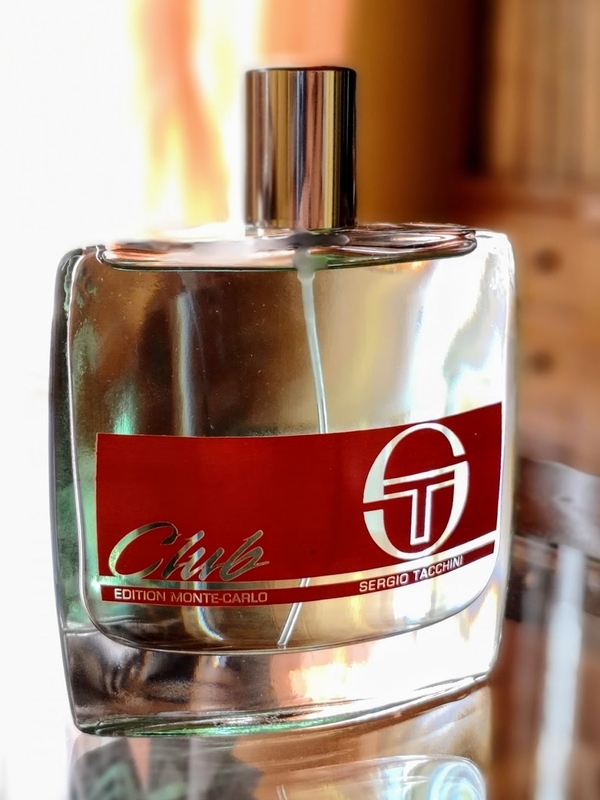 In the latest years, Sergio Tacchini released three real doozy men's colognes entitled Club, Club Intense, and Club Edition Monte-Carlo. I have no clue whether the last two are deemed to be flankers of the original one, certainly, they smell completely different from one another. 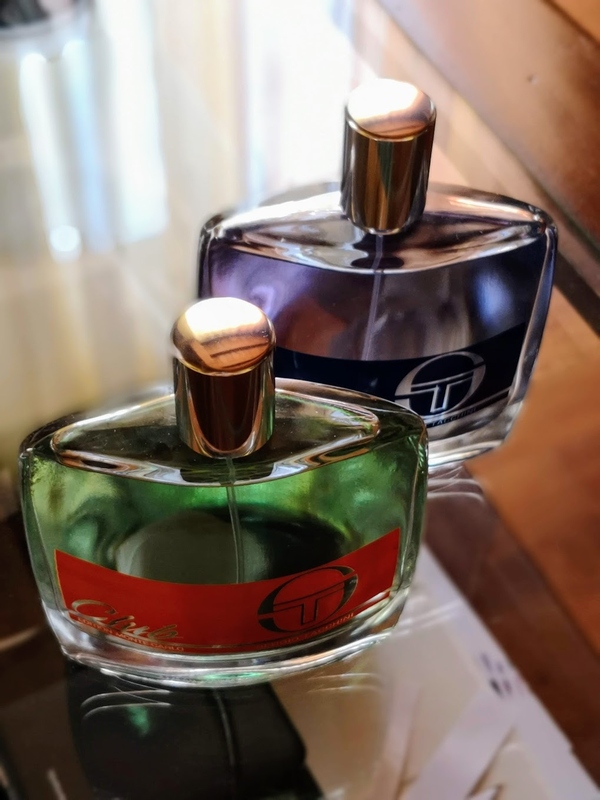 I came across those three unknown gems barely a week ago, a perfume store was offering them at a convenient bargain between 40% and 50% the retail price, and I decided right off the bat to test them all. 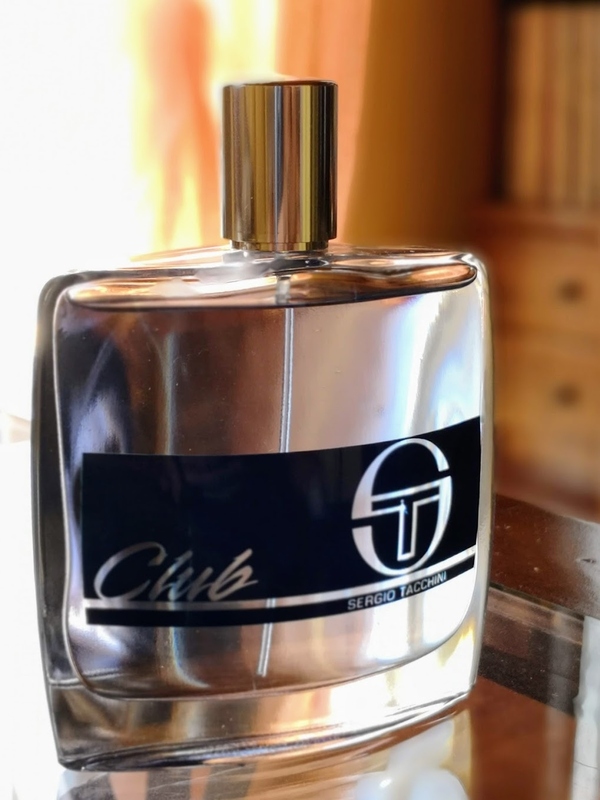 In the beginning, when I sprayed the testers on paper strips, Club was the one that didn't impress me much, I mean, it was so similar to numerous modern fresh and aquatic colognes out there that I chose to pass over it and just bought the other two... But it was after a while that it unveiled its real character and convinced me to go back to the store this morning and put my hands on it, and now I have the whole Club team. This is the original essence and has been released in 2012, it has a blue strip printed on the minimalist bottle whose shape is reminiscent of Azzaro Chrome's one and a pale sky-blue juice inside. It is like a journey to the Mediterranean along the Amalfi coast... a modern fragrance, designated by aromatic greenery with warm fruity top notes and a trail of musky wood. As aforementioned, the opening is full of fresh and zesty notes, the sparkling citrus notes of bergamot, Italian bitter chinotto from Genova that smells closely akin to the famous brown drink, and tons of far east yuzu fruit stand out creating a blend that recalls me of other similar colognes. But after a while, Club brings you to the central notes of pineapple leaves, wild lavender, and aquatic notes. The greenish aroma of the tropical leaves mixed with fougère fragrant lavender blossoms and a sense of marine accord wrap you with a summer sea breeze, something I didn't expect at all. And then comes the drydown portrayed by woody and musky notes, which leads to an intense accord of moss, animal musk, and brackish driftwood. Contrary to the paper strip where the cologne is weak and barely perceivable, on the skin, both sillage and longevity are above the average, definitely a matter of chemistry. It's a simple fougère-green-fruity composition with interesting notes such as pineapple leaves and driftwood, which really hits you, a light spring and summer scent that is very present all day, great for work and gym. Intense has been released 3 years later in 2015, the same bottle with black band and the juice is light grey. Do not consider this as a powerful variation of Club because it is anything but akin to it. 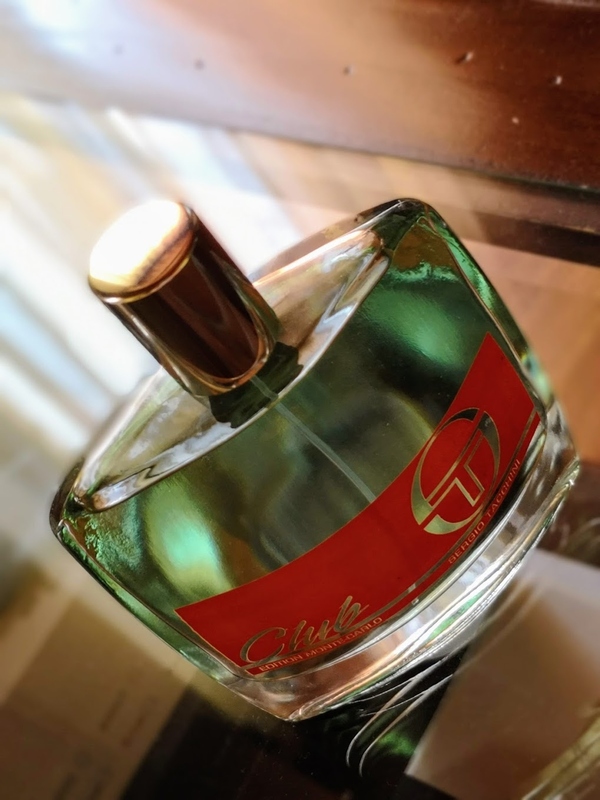 It is a powerful combination of spicy and woody accords and kicks off with peppery-spicy notes of black pepper, aromatic basil, and dazzling bergamot. 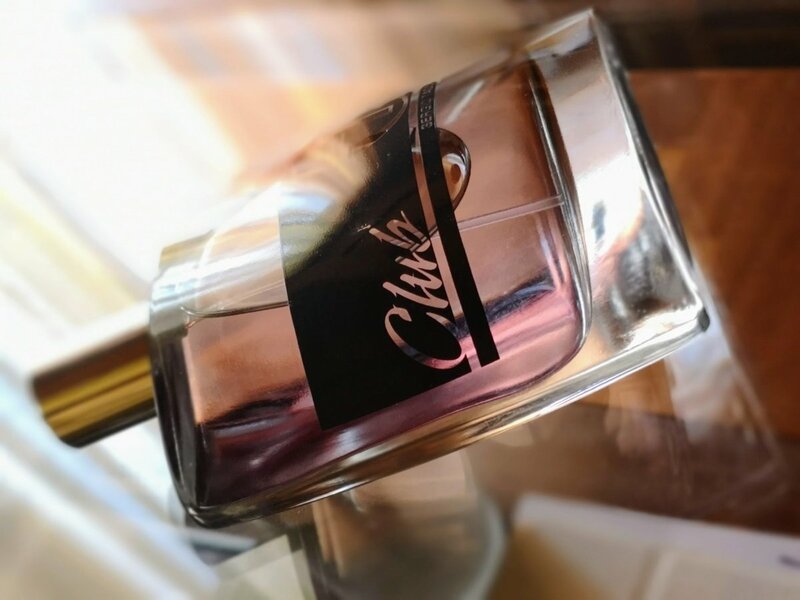 The heart of the cologne appears next, with warm-spicy notes of nutmeg, smoky tobacco, and lacquered cypress. The fragrance closes with base notes of sweet amber, modern patchouli, and woody cedar. Intense twists the fougère fragrance in a modern way. First, cheering the earthy sophistication with fresh citrus and spice. Then, replacing classic Club’s lavender heart note with a highly addictive tobacco–patchouli pair. The result is more sensual, exhilarating and unmistakably masculine. 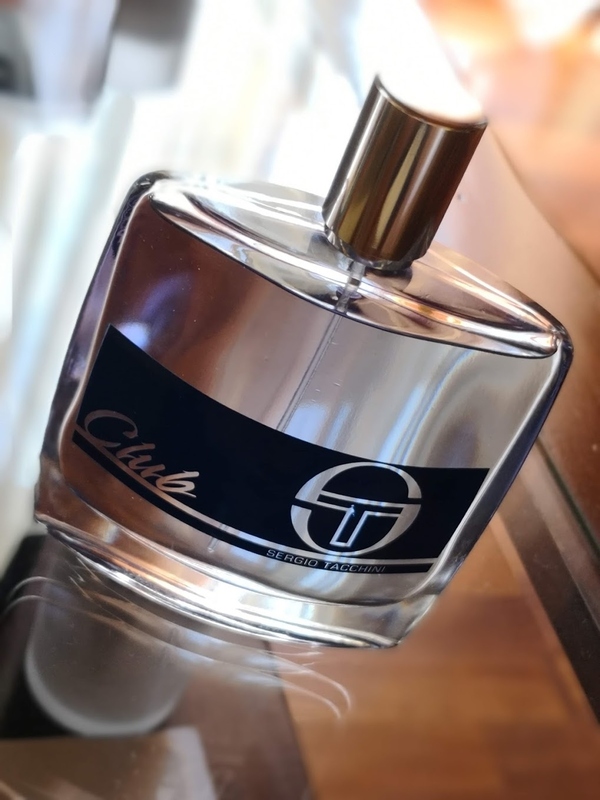 Albeit this cologne can be used any time of day, it is expressly suited to evenings and passionate nights out, during colder seasons... I can dream of burning dried leaves, smoky chimney, pipe's tobacco, and anything smelling like fall and winter times. This is the most recent release introduced in 2016. Here the strip on the bottle is red with a greenish juice within. The fragrance belongs to an oriental and fougère family with sweet and fruity accords. A limited-edition charismatic fragrance that updates the classic fougère fragrance with the seductive freshness of the Riviera. The affair begins with sun-drenched top notes of juicy mandarin orange, slices of tropical pineapple and bitter orange tossed with sparks of pink peppercorns. A fruity and sweet opening, in line with modern men's fragrances featuring fruits and apples in the top notes. The excitement builds as the brilliant whiteness of neroli, slices across a heroic heart of spicy nutmeg, cinnamon bark and golden amber wood. The heart is spicy with a nuance of burnt smell like rubber and dark woods. The drydown surrounds the body in cool vetiver and crisp tobacco leaves. Delightful notes of vanilla and tonka bean linger on his skin. The sparkling and vivid notes make this scent suitable for warmer days, good at work as well as at leisure time, all day and evening. The overall aroma makes me think about an afternoon walk into a park, red and yellow leaves falling while a soft rain is wetting everything it touches. And you, which Club are you on?